Branding isn’t always about selling more. In the case of PNM, an electric utility, it’s about building trust and increasing knowledge to create a long-term partnership with its customers. The rebranding of PNM demonstrates that PNM is a partner in the community, working with consumers to ensure a brighter, healthier energy future. 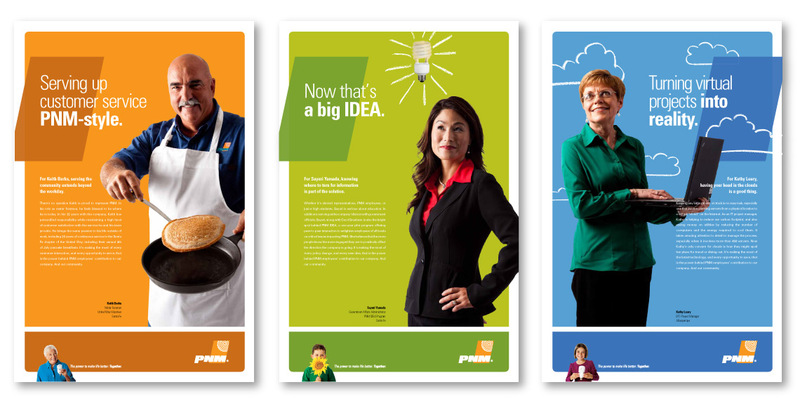 And it encourages consumers to join PNM and its employees in changing the way we all think about, and use, energy.